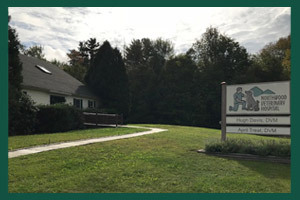 Nancy and her husband, Hugh Davis, DVM, have owned and operated Northwood Veterinary Hospital (northwoodveterinary.com) since 2015. 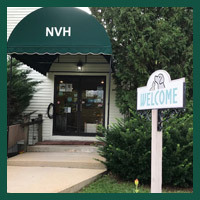 Only a few miles away from Saddleback, we can offer medical care for your dog while housed at Saddleback – whether it be an exam for an emerging health problem or a scheduled surgical procedure – we can coordinate with NVH to help with your pets veterinary care. Hugh Davis, DVM was selected for the inaugural class of Tufts University School of Veterinary Medicine. A 1983 graduate, he began a career in small animal medicine that continues to be successful and fulfilling. 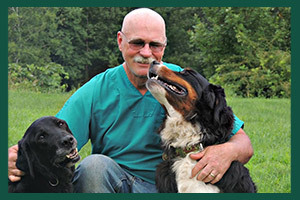 His philosophy of veterinary medicine is to put the pet first; he believes in providing the best quality medicine possible for reasonable cost and thoroughly recognizes the importance of pets in a family. Dr. Davis has worked in private practice, in emergency medicine and as a clinician at the Animal rescue League of Boston. He is an accomplished surgeon and diagnostician and we are pleased to be able to offer our guests at Saddleback access to veterinary service.